View the full 2019 lineup of trips with UNC Lecturers. Experience a land of transcendent beauty and belief, of history and hospitality. Begin your remarkable 12-day small group journey in Tel Aviv, Israel’s cultural capital, with its “White City” district, a UNESCO site. Visit ancient Jaffa, followed by the unique artists’ village of Ein Hod. In Galilee’s hills, stay in a hotel on the grounds of a kibbutz. Encounter key biblical sites: Tiberias on the Sea of Galilee, the Mount of Beatitudes, and Nazareth. Sample local wines at a winery. 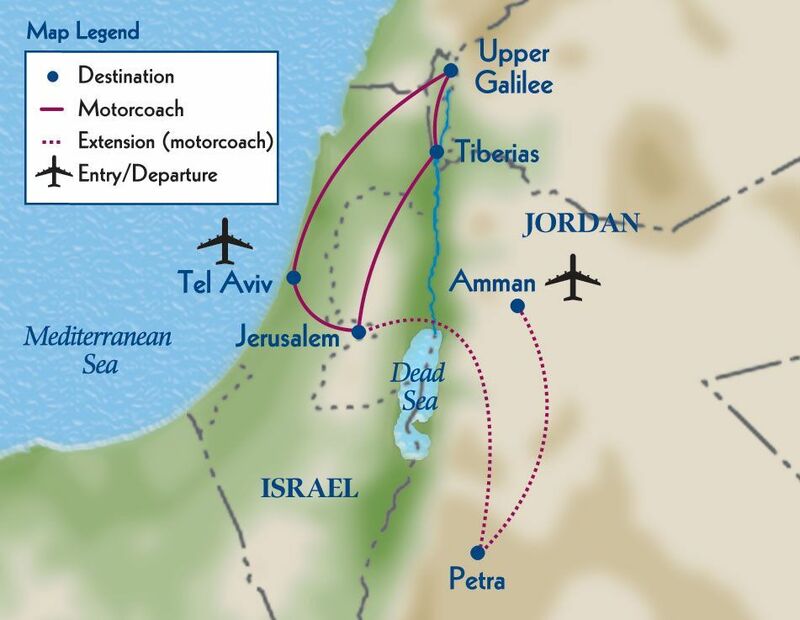 Continue on to revered Jerusalem for a five-night stay at the legendary King David Jerusalem Hotel, and extensive touring that takes in the New City and all the Old City’s important sights. Enjoy an ethnic cooking class in Ein Karem. Float on the Dead Sea and explore the Qumran Caves. View Masada’s celebrated ruins, a UNESCO site. Discover stunning “rose-red” Petra and Amman on an optional 5-day/4-night Jordan post-tour extension. Day 12 : Depart for U.S.